Bottled water facts: as of 2009, there was one person at the FDA overseeing the entire bottled water industry. An industry worth billions of dollars. And overseeing bottled water was only one of her many duties. Billions of barrels of oil are needed to transport bottled water. And most bottled water differs very little from the drinking water that comes from your tap. And that little bit of difference? Oftentimes, it’s just the chemicals in the plastic itself leaching into your water. Earlier this week, the Admiral Theater in Seattle hosted a screening of the 2009 film TAPPED, an award winning film diving into the bottled water industry. While this film currently will run in theaters for limited or one-night only shows, it is more easily accessible on the TAPPED website, which includes links where you can purchase the film on DVD or iTunes. A trailer for this highly recommended film is above. Could Recycling Fracking Water Be A Game-Changer? An article by Amy Dalrymple, writing for the Oil Post Dispatch, describes newly available technology that will allow oil companies to use significantly less water in North Dakota’s oil production. Yes, we may be better off working harder to move past oil entirely – and doing away with fracking altogether. And yes, this technology is being promoted by Halliburton (which always cues the evil Empire theme in my head) – but at least the talk about this technology gets us on the track towards thinking about realistic solutions for fracking’s inherent problems. 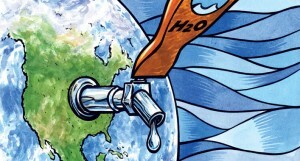 Talk of any technology that reduces the amount of water needed for fracking is a step in the right direction. But when high levels of toxic contaminants, including the arsenic found near fracking sites in Texas, are continually linked to this practice – it serves as a daily reminder that the game we play with this practice needs significantly more change. Bimonthly Minnesota-based craft beer magazine The Growler has dedicated its August-September issue to perhaps the most critical ingredient in any brew: clean water. “Beer is a water intensive industry, and breweries are taking note,” writes Adam Overland. Read this month’s issue of The Growler online to learn how the craft beer industry is embracing the importance of the clean water movement, from responsible usage to supporting sustainability programs. Its been a bumpy ride in California this year, with drinking water issues – ranging from nitrate contamination to budget struggles – arising nearly every day. Writing for California Healthline, George Lauer summarizes some of the more critical issues. Are You Ready For Protect Your Groundwater Day? The National Groundwater Association has dubbed September 10th ‘Protect Your Groundwater Day,’ bringing attention to how we all have a stake in keeping our water clean and safe from contamination. While dedicating a day to water protection is a great call to action, some of the steps shared by this association – from safely disposing of hazardous chemicals to modifying your water usage – represent critical actions we should all be taking on a daily basis. Learn more in the link above. In our news release this week, we announced the winners of our Future of Water scholarship, where we challenged students to develop solutions to the world’s water shortage crisis. 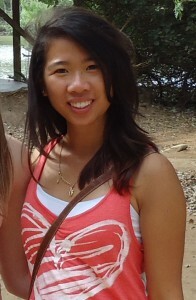 Responses from our Future of Water scholarship winner Mona Dai (pictured) and our first and second runner-up, may be found published on this blog. I encourage you to read and share these solutions and help bring the exposure needed to make them a reality. For every home brewer, there comes a tipping point where its time to take the craft to the next level. This means carefully curating ingredients, closely monitoring and maintaining consistent fermentation temperatures – and of course – appropriately filtering water. Water filters and filtration products we offer, from the Big Blue Whole House Water Filters shown to the left to the big time Crystal Quest Acid Neutralizing Water Filter System, are ideal for any home brewer ready to make the leap from hobbyist to something more. And like the home brew equipment you’ve already purchased or built, the cost for these products will scale according to your needs. If you are a home brewer considering a water filter or filtration system, I would highly encourage you to call our customer service department at 1-888-801-PURE so they can ensure you select the right system for your needs. And remember to watch the second of Breaking Bad’s Final 8 this Sunday. Between now and the final episode, take 8% off any order of $99 or more with the coupon code BreakingBad08. When it comes to fracking, the game is at least taking the steps in the right direction. For years, they had disposed of the discharge or waste water without thinking about it. At least now, this water is being run through some kind of water filter, and more and more companies are following this practice. It won’t be long before they have it set as a standard in this industry, but at least they are making the changes. 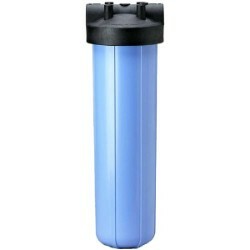 Next post: How Often Should I Change My Refrigerator Water Filter?